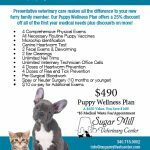 The Inn at Sugar Mill Full Service Pet Boarding Where Your Pets Play While You Are Away! The Inn at Sugar Mill is St. Croix’s only free standing pet boarding facility. Canine Guests explore our 2.5 acre property and relax in air conditioned private suites. Feline guests enjoy a view of Buck Island, air conditioned suites with private litter area, and an outdoor screened porch. We strive to provide your dog or cat with a relaxing vacation filled with caring attention and play time. Our dog and cat boarding facilities offer caring and professional pet care while you are away with the convenience of an onsite veterinary staff for pets with medical conditions. Dogs enjoy cage free, spacious runs and our separate cattery features multi-level kitty condos with a screen porch play area. Our beautiful grounds offer ample opportunity for nature walks and our fenced in Soldier’s Park provides for off-leash play and social time for family dogs staying together. All boarding pets receive a 15% discount off Grooming fees during their stay. Playtime in our fenced in Soldier’s Park. Condos have 3-levels for your cat to explore. Windows with a view to our back yard for stimulation. Daily exercise on our screened cat porch. Dogs & Cats must be current on core vaccinations. If not current or no proof is provided, client will be charged $55 to update vaccines. Canine Bordatella vaccine (Kennel Cough) is required within 6 months prior to boarding. If not current or no proof is provided, client will be charged $25 for the vaccination. We recommend your dog get vaccinated for Kennel Cough at least 7 days prior to boarding. No charge if pills are added to food. $2/day if pets must be pilled, have injections, or have topical medications applied. 10% Discount off of all grooming services while your pet is boarding. All dogs receive a freshen up bath on the day they go home! For the comfort and safety of your pet and our other guests, we will treat for fleas and/or ticks if detected on your pet upon arrival.